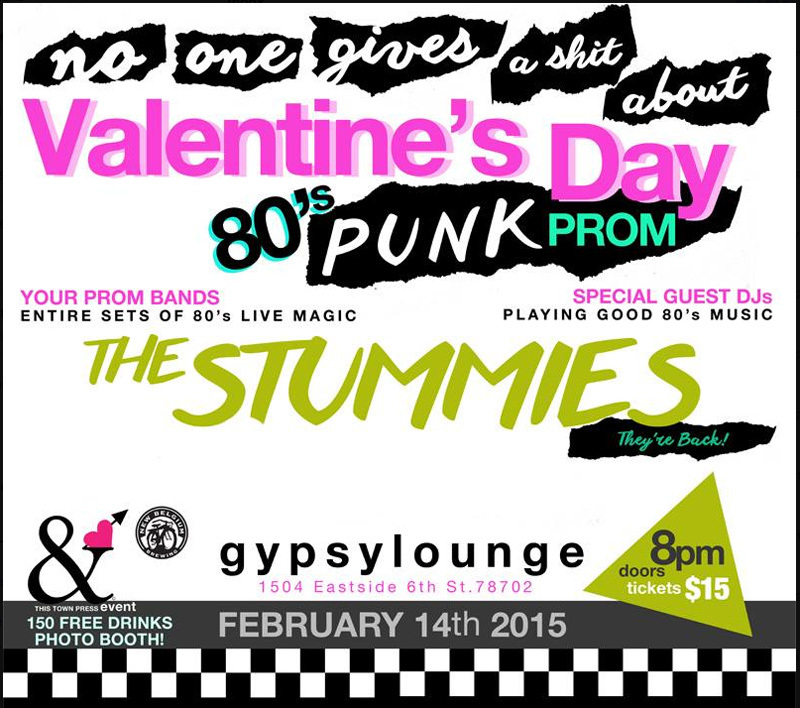 Doors at 8pm, Tickets $15, 150 Free Drinks, Photo Booth, and all 80s music all night! 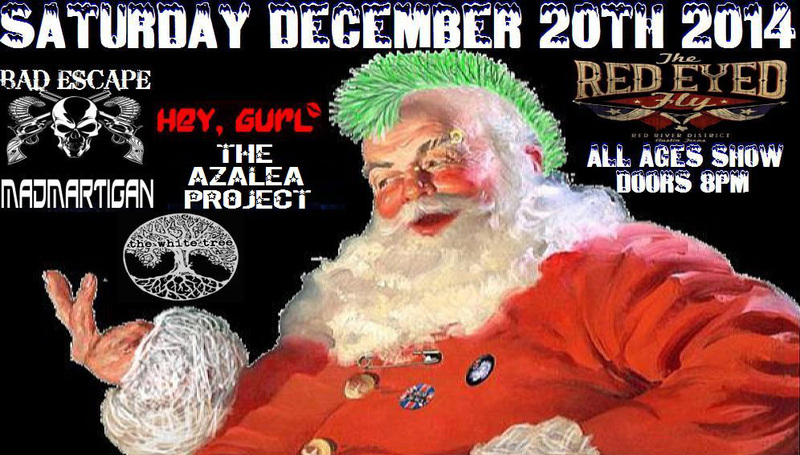 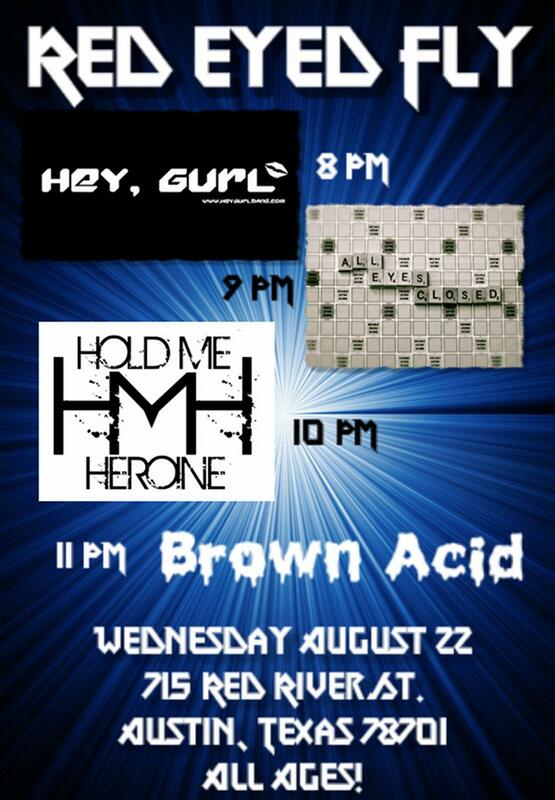 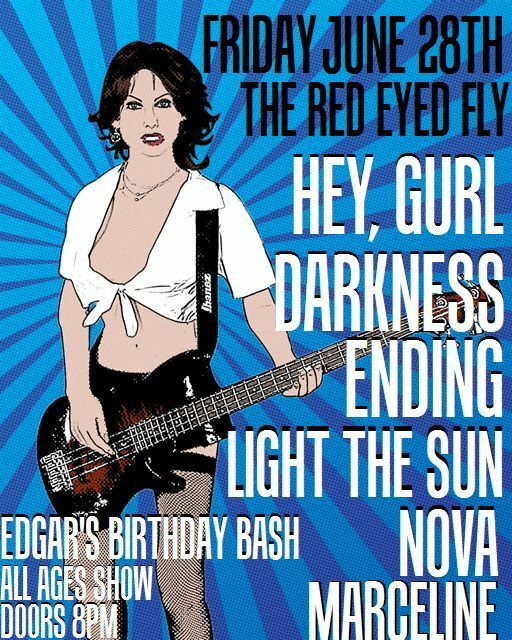 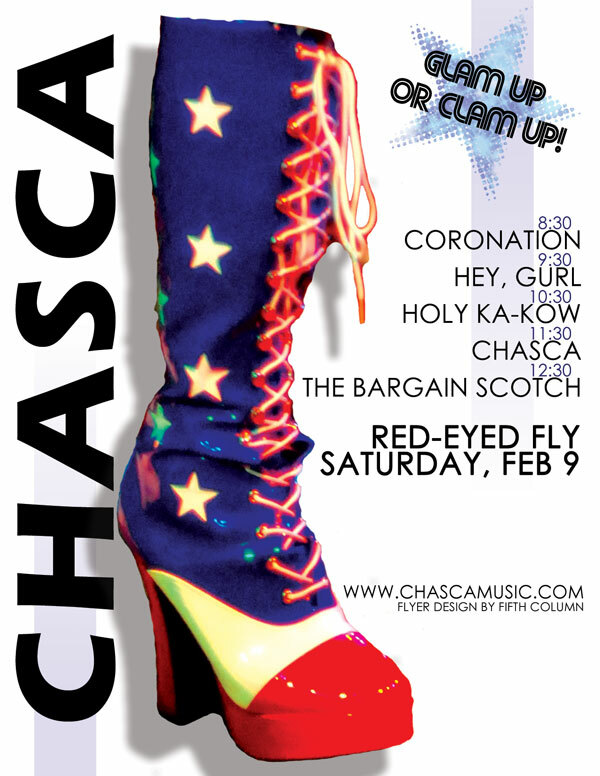 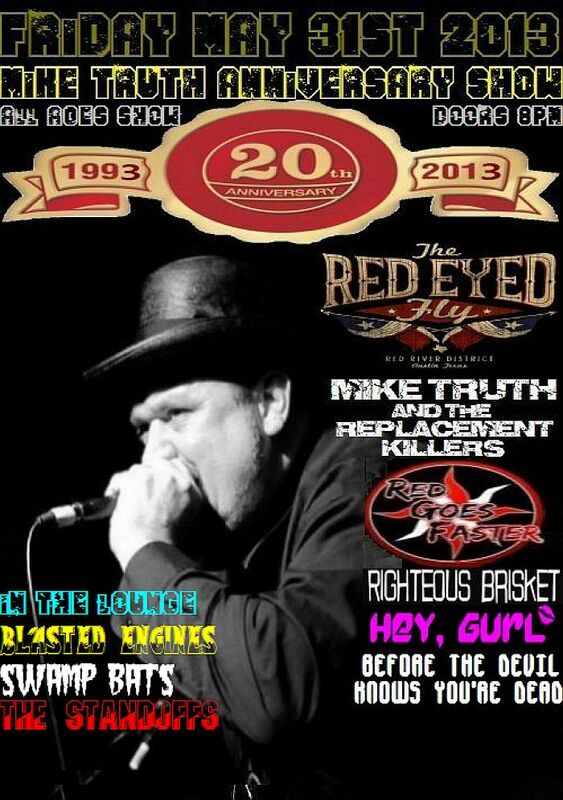 Hey, Gurl Returns to Red Eyed Fly with Bad Escape (Arlington), Madmartigan, and The Azalea Project! 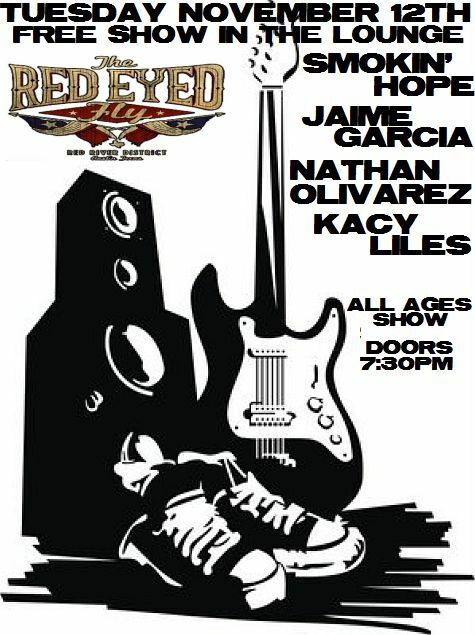 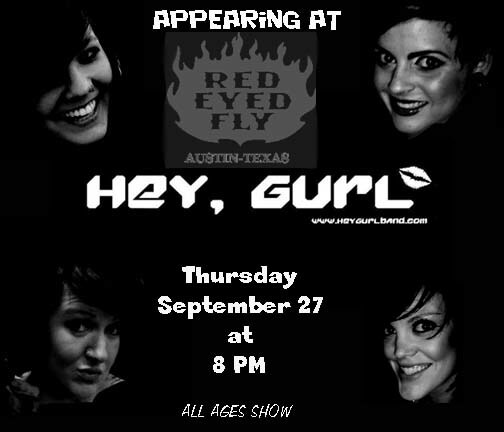 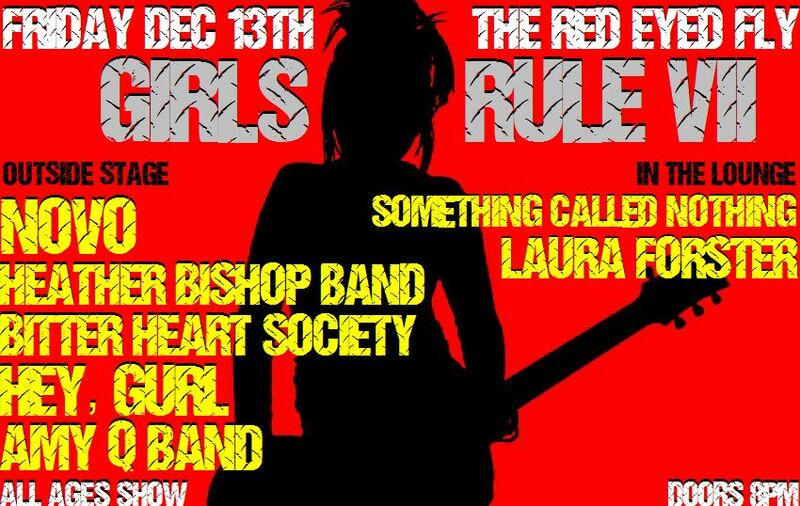 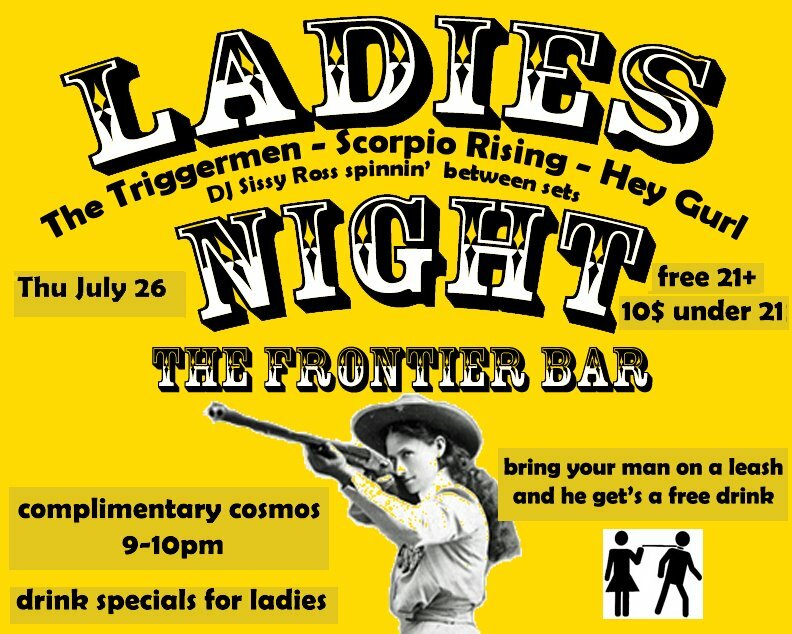 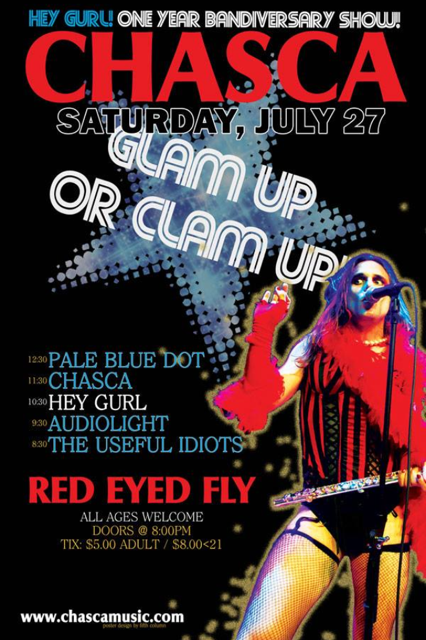 Hey, Gurl's guitarist Kacy Liles is playing a solo acoustic show at Red Eyed Fly. 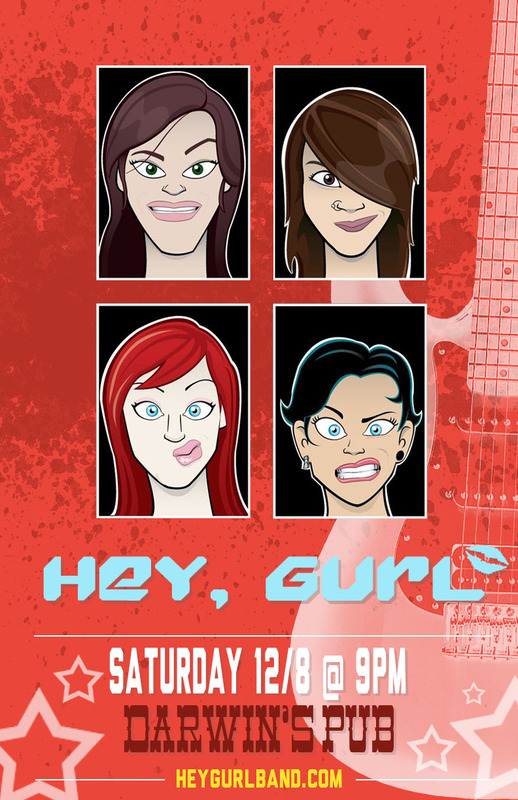 Come check her out and see the quiet before the next Hey, Gurl storm. 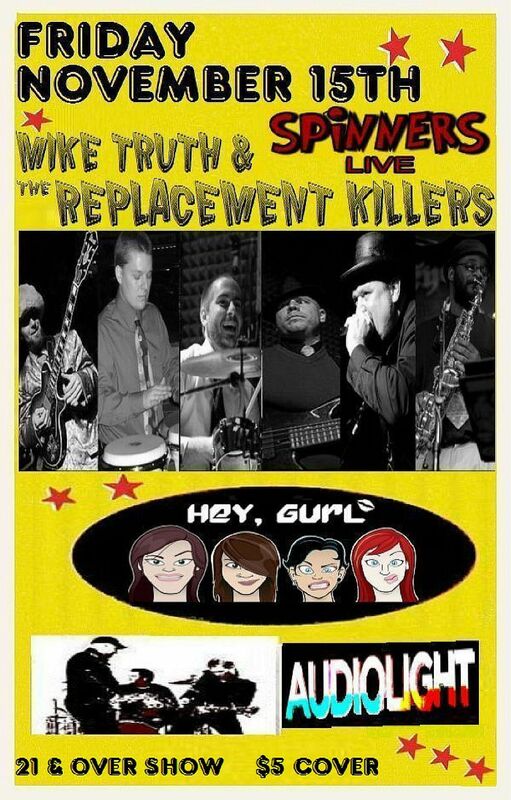 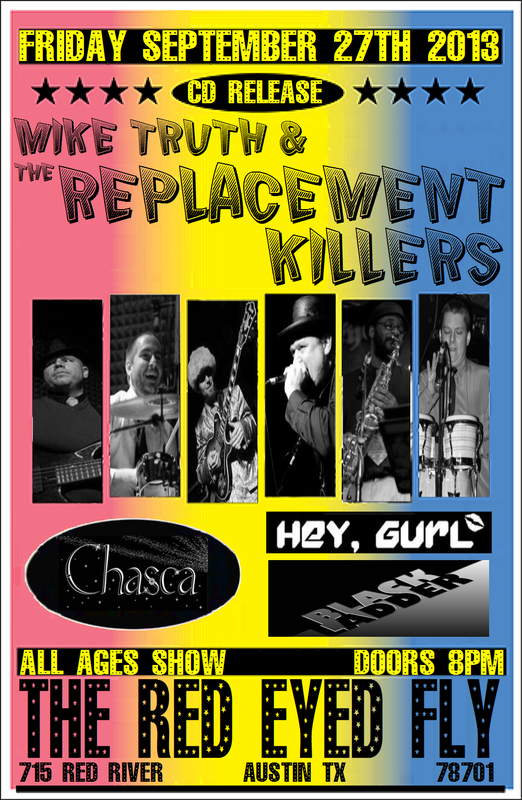 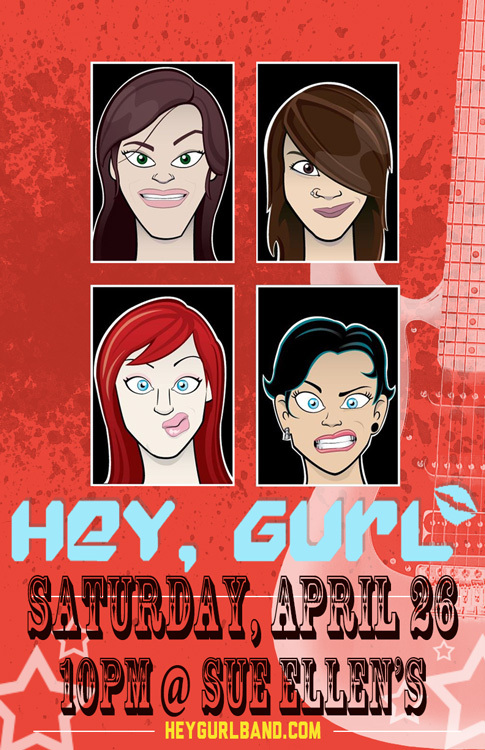 Hey, Gurl and Audiolight open for the dynamic and funky Replacement Killers! 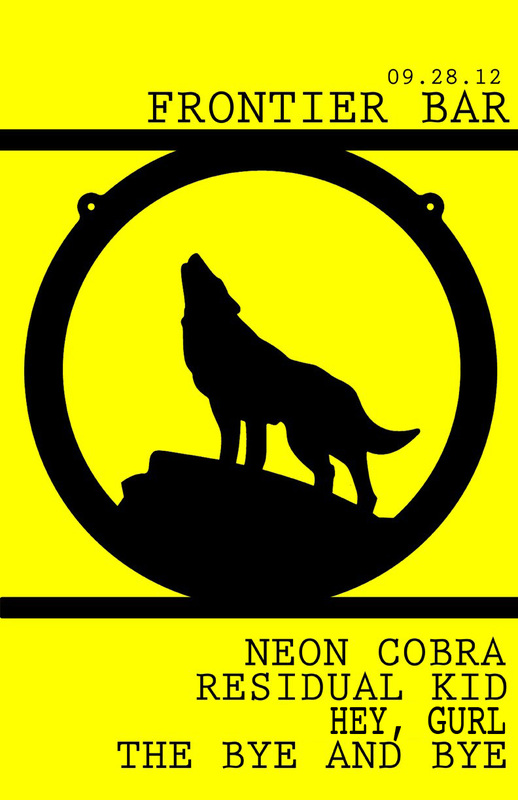 It's Halloween!!! 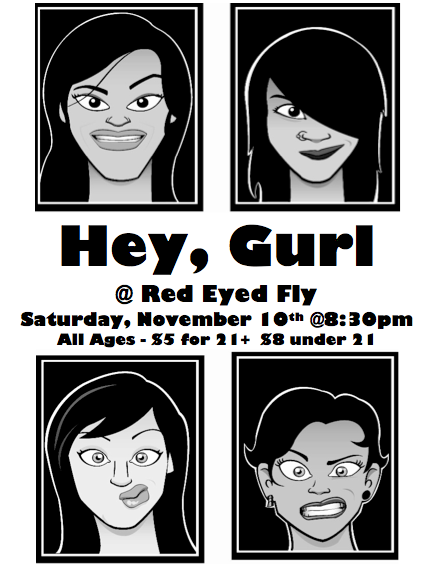 Wear your costumes, 'cause you know Hey, Gurl will! 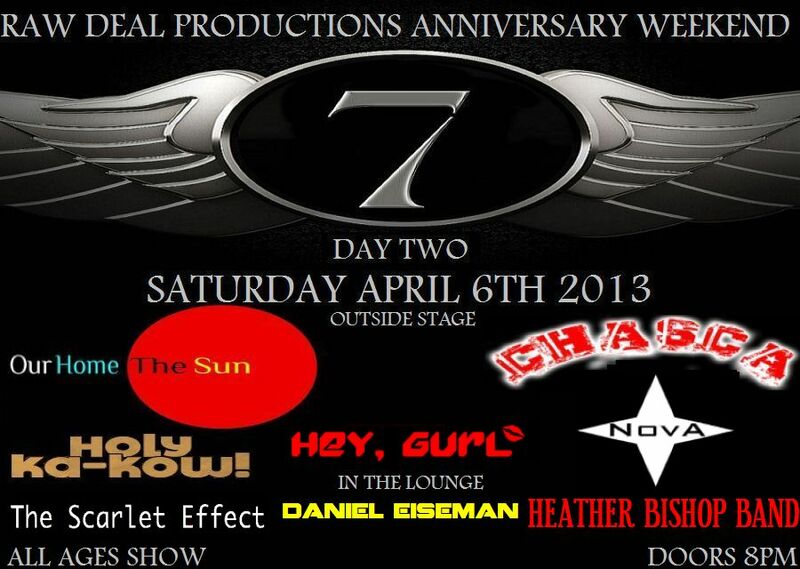 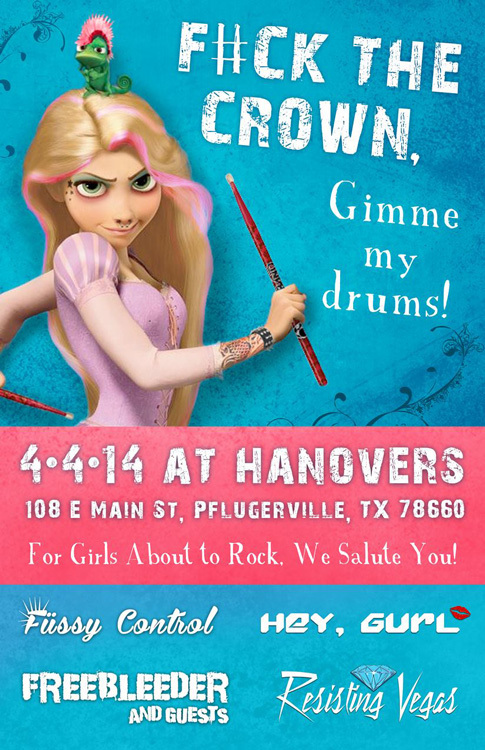 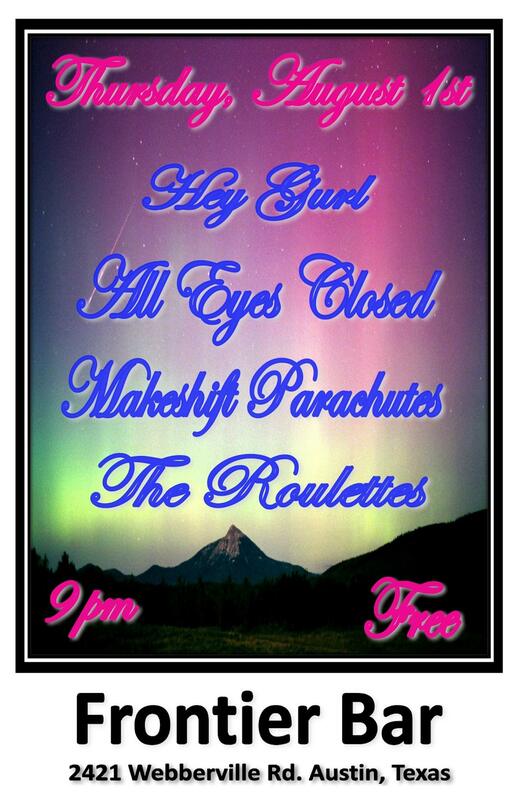 Come rock with Hey, Gurl at a free show amidst the excitement and energy of SXSW! 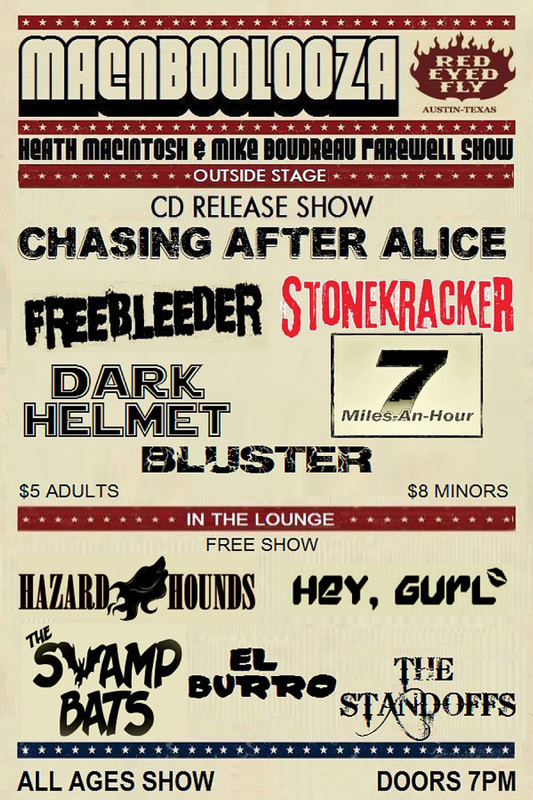 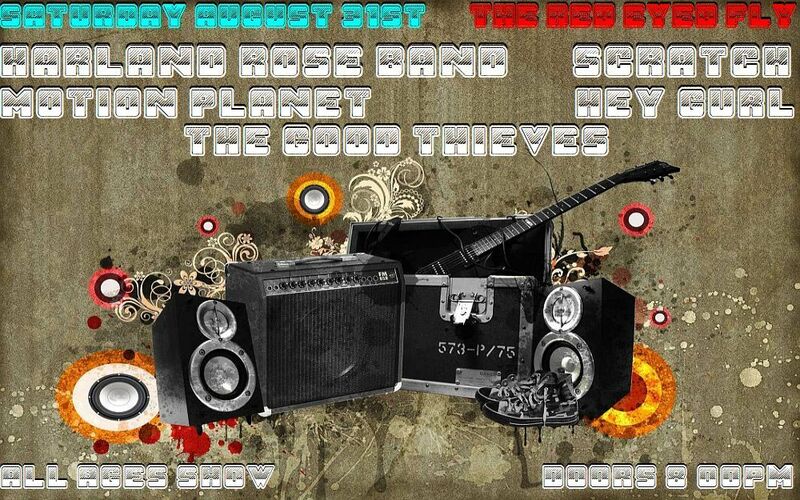 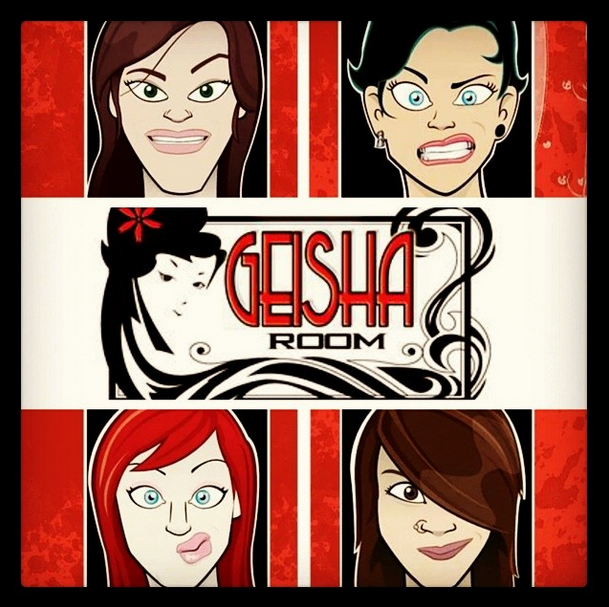 Free show, all ages, playing on the indoor stage!